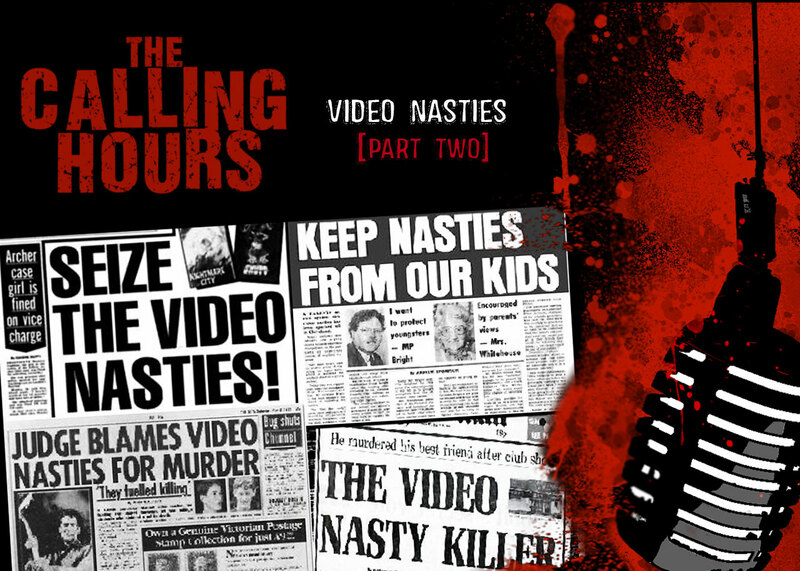 On this episode we will be having a roundtable discussion on the history of the Video Nasties. Joining me for this discussion will be fellow Morbidly Beautiful writers Jamie Marino and Monster Dugan. Video nasty is a colloquial term in the United Kingdom to refer to a number of films distributed on video cassette that were criticized for their violent content by the press, social commentators and various religious organizations. The term was popularized by the National Viewers’ and Listeners’ Association (NVALA) in the UK in the early 1980s. These video releases were not brought before the British Board of Film Classification (BBFC), which could have censored or banned many of the films, due to a loophole in film classification laws, which states that videos did not need to be submitted to them at that time. As a result, this produced a glut of potentially censorable video releases, which led to public debate concerning the availability of these films to children due to the unregulated nature of the market. Following a moral campaign led by Mary Whitehouse and the NVALA, local jurisdictions began to prosecute certain video releases for obscenity. To assist local authorities in identifying obscene films, the Director of Public Prosecutions released a list of 72 films the office believed to violate the Obscene Publications Act 1959. This list included films that had been acquitted of obscenity in certain jurisdictions or that had already obtained BBFC certification. The subsequent revisions to the list and confusion regarding what constituted obscene material led to Parliament passing the Video Recordings Act 1984, which forced all video releases to appear before the BBFC for certification. The implementation of the Video Recording Act imposed a stricter code of censorship on videos than was required for cinema release. Several major studio productions were banned on video, as they fell within the scope of legislation designed to control the distribution of video nasties. In recent years, the stricter requirements have been relaxed, as numerous films once considered video nasties have obtained certification uncut or with minimal edits. Due to a legislative mistake discovered in August 2009, the Video Recordings Act 1984 was repealed and re-enacted without change by the Video Recordings Act 2010. In our Digital Dismemberment Spotlight, we will be reviewing Sparrowhawk Pictures release of Ahockalypse! We will also be featuring three bands in our Metal Massacre Spotlights, including the bands Paths of Possession, Abiotic and Book of Black Earth. Paths of Possession is an American melodic death metal band featuring George “Corpsegrinder” Fisher in a more melodic environment, with song structures that have much more in common with early Bay Area Thrash than the Tampa death metal scene. Book Of Black Earth formed in late 2003 when TJ Cowgill (guitar) and Hank Guthrie (keyboards) joined with Joe Axler (Skarp, Splatterhouse) on drums, Larry Perrigo on bass (Wormwood), and Rebekah Dunbar on guitar and wrote three songs for a demo which was released in 2004 on our their own label Cryptstyle Records. That was limited to 150 copies. Two songs from that demo later appeared on a split with Fall Of The Bastards which was released in 2005 on Evil Morgue Records.